Child learn to create a whole picture from the small pieces, distinguish colors and geometry forms while playing the game. All the levels develop astract thinking, logic and attention. Game interface is easy: kid choose color and shape. Result picture is shown in right top corner of the window. In the middle of the game is place to create the picture. Wrong places pieces could be removed by eraser tool. 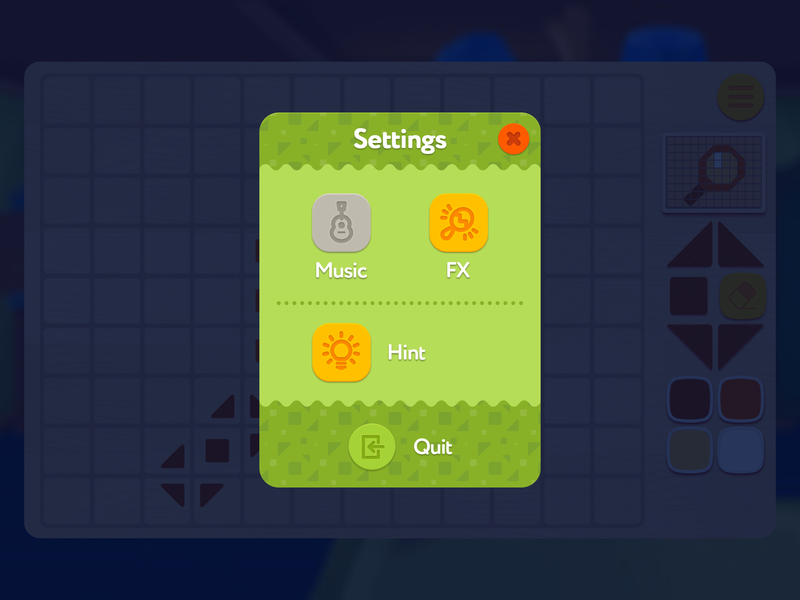 You can enable help mode if game is too hard for your kid. Every levels pack includes different game modes. There are six types of levels. The first and the most easy level is to create picture by example in any order. The second one is magnet level. Pieces of the picture must be placed near the magnet. The fourth pack of levels consist of colorful stones pieces. The difficult there is that you can’t move stones through other stones. The fifth pack: some pieces are locked. Click the lock to see the color and sequence of pieces. Solve cipher and compile the colorful picture. The sixth type: moving of glass windows prevents player to put pieces to plate. Wait until place is open and put the color piece fast! 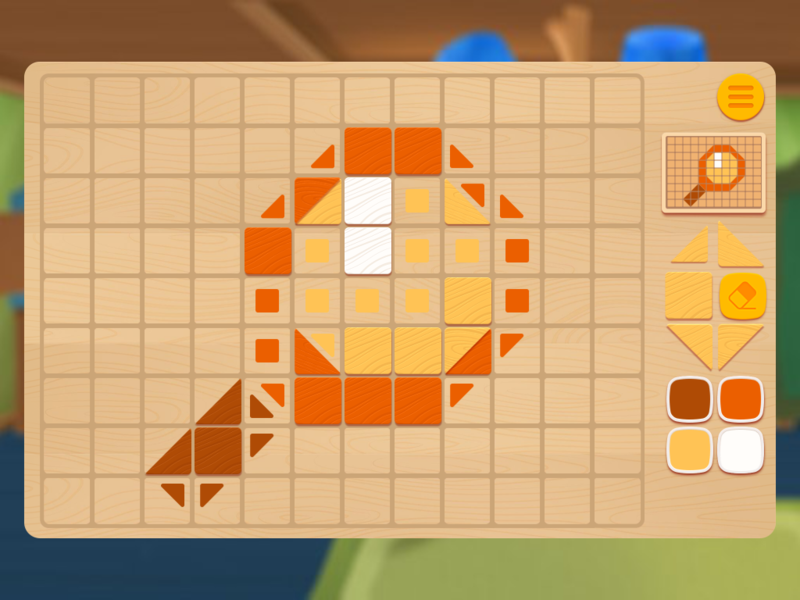 The more levels had done, the more difficult level opens to you. 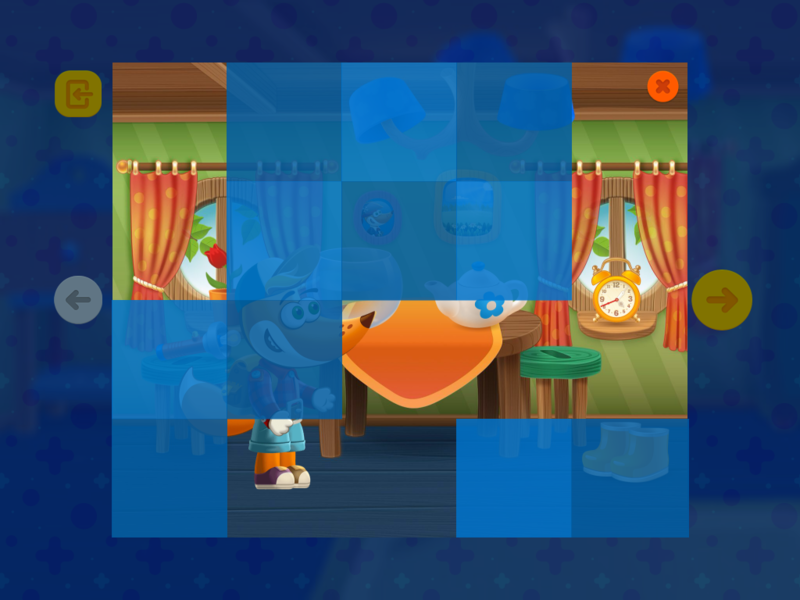 The main animated picture will be opened after all levels will be done. Tim the Fox – Mosaic is the game for 4-6 years old kids but we think parents will be interested in too. ← New! Tim the Fox – Paint the Princess!